On the University campus Kofi Nsiah-Poku was the one who owned all the commercial music systems for parties and fun fairs. With business on his mind he was renting out the equipment to others but never attending any parties himself. 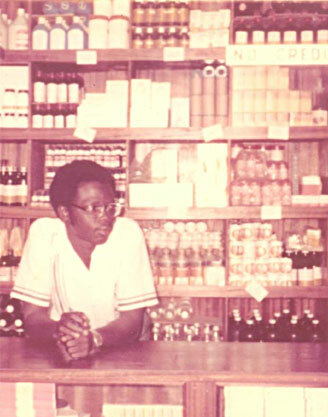 He also started making and distributing simple pharmaceutical preparations and suspensions and had a full-fledged home grown dispensary and shop not long after graduation. Throughout his teaching days in the University, he kept growing and traveling every vacation to work abroad. He would return from his travels and invest all that he had earned in his business and not on personal extravagances.